Post-production Complete. Ready for Launch. It’s finally in the can. 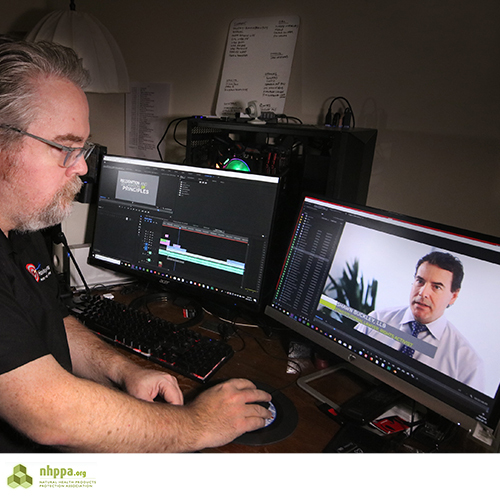 NHPPA has a talented team, from varied professions, working in cities across our great country. For the last two weeks, although there are more than a few projects on our docket, we were heads-down devoted to completing a highly valuable educational tool. Shawn Buckley and our videographer, David Delouchrey, recorded a series of 21 short primers that explain The Charter of Health Freedom in terms everyone can understand. The series takes you into the proposed legislation that gives Natural Health Products and Practices their own Act. Each segment makes clear what it means for you. We did a set in 2009 but have revisited the features in 2019 with the confidence, that even 10 years later, it is still the best solution. Sunday night closes at the Calgary Health Show with nothing but gratitude from NHPPA headquarters. It’s with considerable passion for freedom that three citizens made it a point to join the effort. Volunteer April Reeves kept things running and under control for both days, all day, with wonderful support on Saturday from Monique Ruchkall and Sunday, from the one and only, Dr. Bonnie Kaplan! Thank you for taking the time to educate and inspire the public. You built more civic muscle needed to battle Health Canada. The weekend’s happenings, new petition count, Shawn’s talk from the recording and more will be in our full show report and photo gallery. We’ll let you know when it’s up! 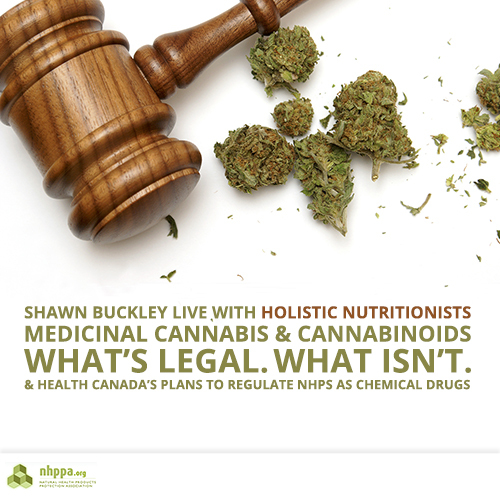 At the request of a concerned group of Holistic Nutritionists working in clinical practice Shawn Buckley will be holding a LIVE ZOOM webinar. He will discuss the legal confusion around cannabis products like CBD oil, and specifically, what it means for those practicing in Canada. 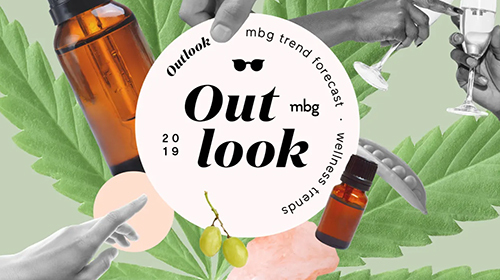 He will also discuss Health Canada’s plan to regulate Natural Health Products under the same set of regulations as non-prescription chemical drugs by 2020. This will affect a professional’s ability to access and recommend supplements for serious health conditions. First time! In the last 10 years we’ve given lectures for audiences aligned with our mission in Vancouver and Edmonton but this weekend is our inaugural public event in the West! 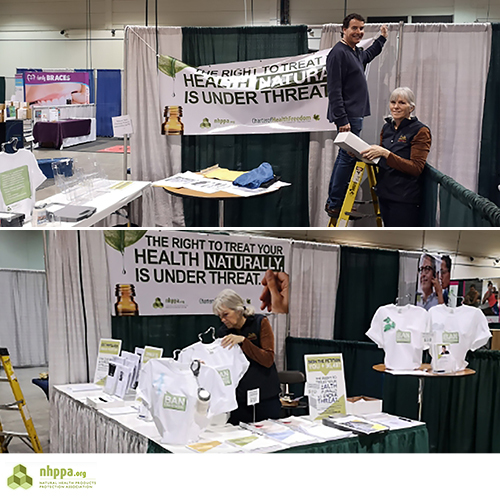 NHPPA will occupy a corner booth at the February 2nd and 3rd Calgary Health Show. We’re sharing our complete pallet of educate-advocate materials and a full volunteer (!) crew with Shawn Buckley set to do two lectures. 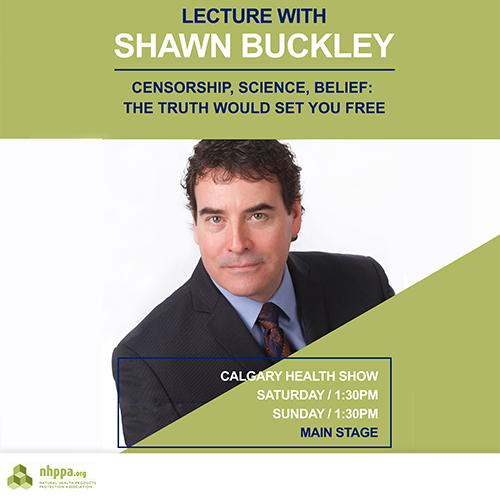 Shawn will be presenting his “Censorship, Science, Belief” presentation with a few variations on the theme for Calgary. That’s 18.333 signatures per hour! When gathering signatures you are “on” all day, both educating and listening. 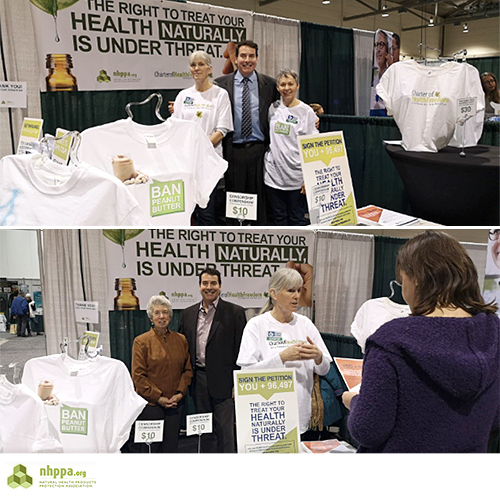 Shannon was at The Victoria Health Show this past weekend for 15 hours between Saturday and Sunday. She went on her own, without hesitation, and told us she enjoyed “the gig”. The signed petition pages are on their way back to NHPPA. We asked Shannon why she thought volunteering for NHPPA was a good use of her time. She shared and said we could too. She wasn’t even there for an hour when we got a text that read, “I’ve already got 40 signatures!” We called for volunteers in Western Canada and had a tremendous response. Thank you to everyone not mentioned yet. This is our first outing of 2019. 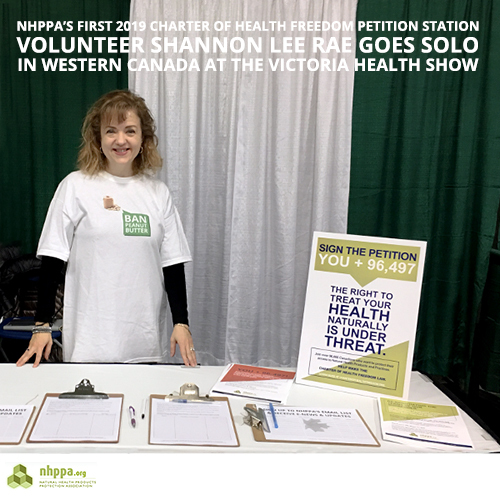 Shannon Lee Rae didn’t hesitate to make The Victoria Health Show her own and said she was in for both days, all day. 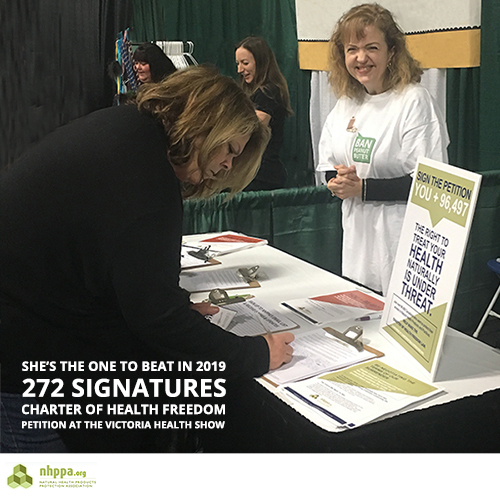 If you are in Victoria, BC visit Shannon at the show and sign the petition! 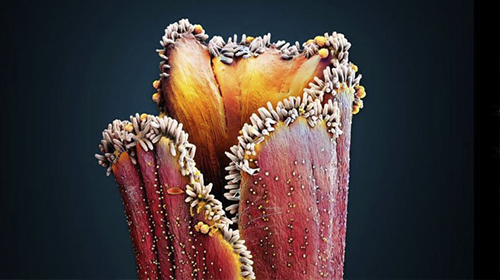 A whole new generation of consumers need to know about the threats to NHPs and the Charter of Health Freedom (COHF) as a solution. 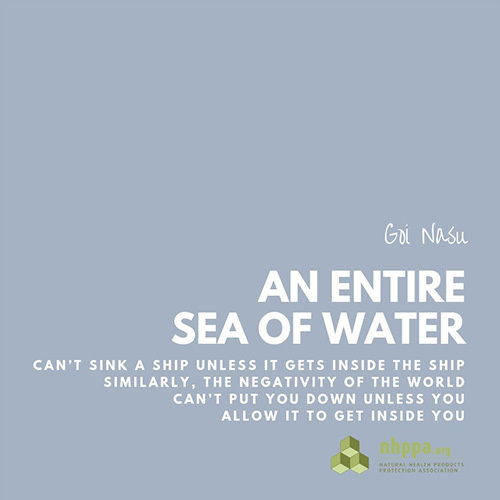 If you are anywhere in Canada and want to help raise awareness for NHPPA, let us know which show (large or small) you’d like to attend and we’ll send you the COHF Petition Station materials! Read more about the Charter of Health Freedom.